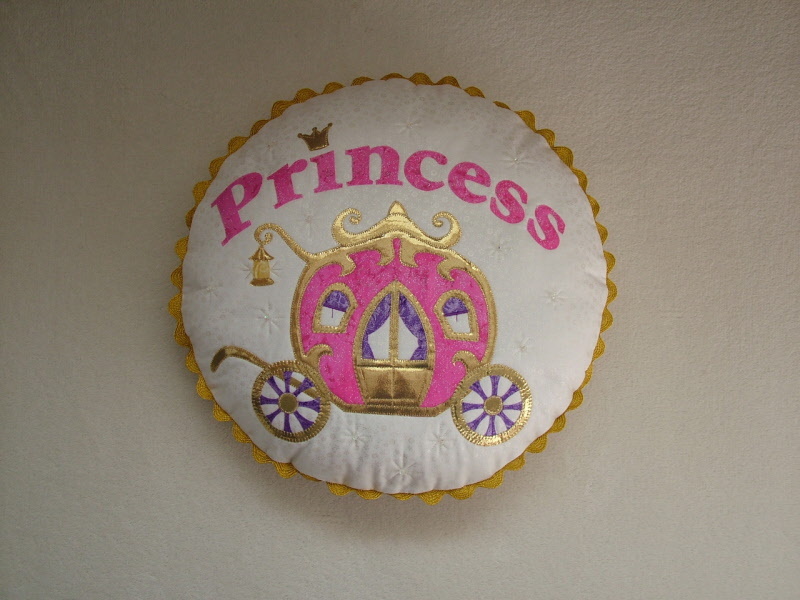 A gorgeous cushion for the princess in your life! Gail Penberthy has designed this superb unusual round cushion featuring a carriage. Made using the fusible applique technique, the letters have already been reversed for you to spell out princess. The cushion measures approximately 18 inches in diameter.